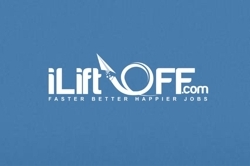 Indian startup iLiftoff is an easy to use testing platform for recruiters. iLiftoff has it’s own database of test questions for many fields and industries. Their knowledge base of questions covers everything from financial positions to coding. Recruiters can even add their own questions. HR recruiters will use iLiftoff for pre-employment screening. iLiftoff has released their platform with tests covering four sectors; programming, finance, law and logic.iLiftoff than breaks those four sectors down to more refined industries like banking and insurance which would fall under the finance category. iLiftoff also offers companies the ability to create their own tests. These tests can be for recruitment, advancement or to assess training initiatives. They’ve taken this approach to testing one step further by creating a platform that will work on PC’s and Mac desktops and laptops and also on both Android and iOS tablets.This means that tests can be administered in the field on a wide variety of topics. While it’s not a glamorous industry, iLiftoff does seem to be addressing a need for both good testing platforms and for companies to easily make up their own tests without having to outsource or take months for a project test.